Pink Floyd are streaming a video for the 1967 song, “Paintbox”, their first official clip featuring then-new guitarist David Gilmour. Written and sung by keyboardist Richard Wright, the band were filmed miming the b-side to the non-album single, “Apples And Oranges”, in early 1968 on a bridge in Brussels for broadcast by Belgian television. 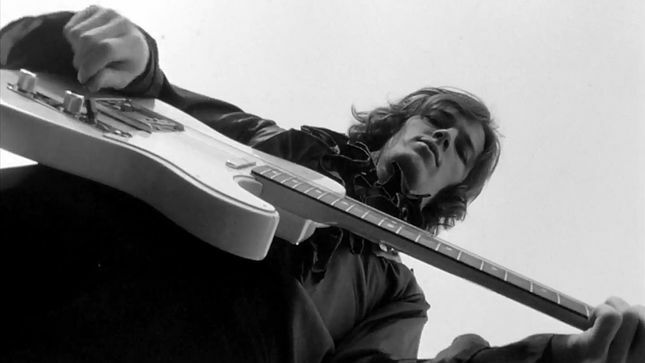 Although Syd Barrett was still a member of Pink Floyd when the song was recorded in the fall of 1967, the “Paintbox” video was shot after his departure and features his longtime friend and replacement, Gilmour, on guitar. The set presents 7 individual book-style packages and feature 130 tracks, including TV recordings, BBC Sessions, outtakes and demos and more than 20 unreleased songs; also featured are 7 hours of previously unreleased live audio and more than 5 hours of rare concert footage. Each individual book-style package was released separately early in 2017, except “Bonus Continu/ation”, which is exclusive to the box set. Pink Floyd released their final album, “The Endless River”, in 2014.